delightful! whose photo is this? who can i contact for permission to post it on our web site? Please email me at katedanaher@animalearthhuman.org Thanks! You can use this photo for your site with reference to my site (p-stepanov.ru). You can use theirs with same permissions too. What kind of squirrel is that? We have red squirrels, but they are completely red no gray and do not have the tufted ears. 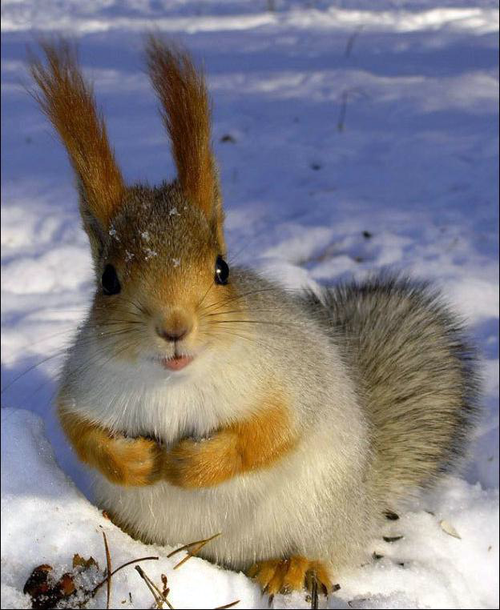 This is a red squirrel or Eurasian red squirrel (Sciurus vulgaris). I’m really impressed with your writing skills as well as with the layout on your weblog. Is this a paid theme or did you customize it yourself? Either way keep up the excellent quality writing, it is rare to see a great blog like this one these days. skilled blogger. I have joined your rss feed and stay up for searching for extra of your excellent post.